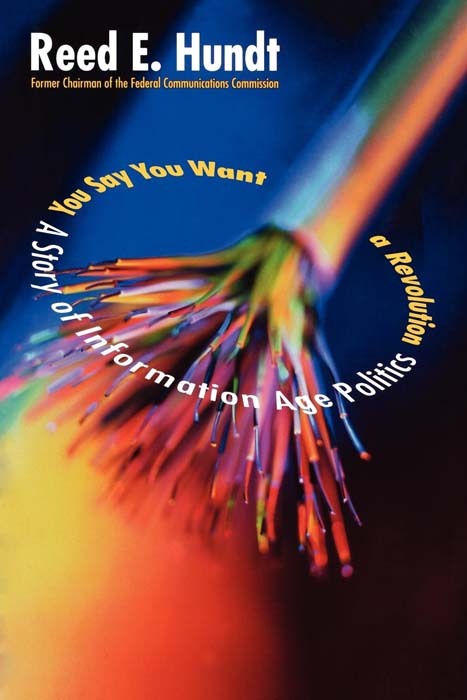 This book is a unique account of the way politics has shaped the information age in America. Reed E. Hundt, chairman from 1993 to 1997 of the Federal Communications Commission, the nation’s chief regulatory agency for media and communications industries, tells of the battles for political advantage that lie behind the enormous creation of wealth and social changes that are generally called the “New Economy.” The central theme of the narrative is the surprising passage and fascinating implementation of the 1996 Telecommunications Act, which authorized the Federal Communications Commission to replace monopoly with competition and to guarantee access to the Internet to all Americans, including every child in every classroom. Depending on the leadership of his high school classmate Al Gore and finding unexpected allies in the ranks of free market ideologues, Hundt led the FCC to make the decisions that helped start a wave of entrepreneurship, which in turn has given the United States the world’s leading Internet economy. As the memoir shows, every decision involved prodigious political battles—between existing industries and start-ups, between Newt Gingrich and the Clinton-Gore White House, between inside-the-Beltway lobbyists and the new grassroots advocacy of e-mails, between the politics of money and the politics of ideas. In the same period, the often ignored and historically maligned FCC was the place where government decided whether to undertake the largest national initiative to reform K–12 education in the country’s history: the program to connect every classroom to the Internet by the year 2001. Hundt’s report from the political battlefield offers significant insight into the motives and personality not only of Al Gore but other prominent figures in political life, as well as many of the media moguls of our time. Told with great energy and wit, it is a tale that inspires both concern for and confidence in our democracy in the information age.